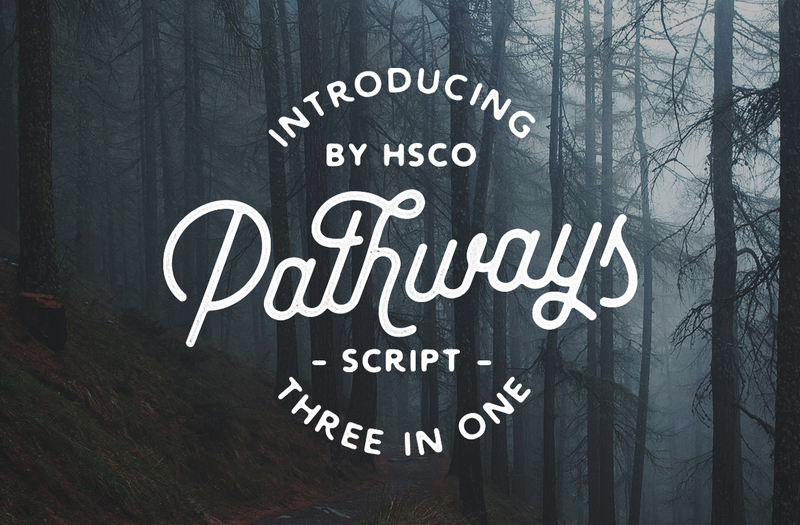 Pathways is an awesome script type created and published by Jeremy Vessey, a freelance type designer from Charlottetown, US, publishing under by Hustle Supply Co. name. Available in 3 different styles, Circular Strokes, Rectangular Strokes and Rough, Pathways comes with alternate characters & ligatures making it an extremely versatile for printed aesthetic. Take a new path with Pathways! A font description published on Thursday, April 7th, 2016 in Fonts, Hustle Supply, Jeremy Vessey by Andrei that has 3,876 views.